Celebrating its eighth anniversary, the BUKU Music & Art Project is holding down its place at Mardi Gras World in New Orleans on Friday, March 22nd and Saturday, March 23rd. The Nocturnal Times has partnered with our Bukrewe again in 2019 to offer Nocturnalists their shot at an unforgettable VIP experience for two. Sweeping through BUKU 2019 are headliners Lana Del Rey, A$AP Rocky, Excision, RL Grime, Griz, and Louis The Child, amongst others. More thrilling acts spanning the music spectrum include Mayday Parade, The Black Madonna, Papadosio, Fisher, Claude VonStroke, Ekali, and The Gud Vibrations staple performers NGHTMRE and Slander. 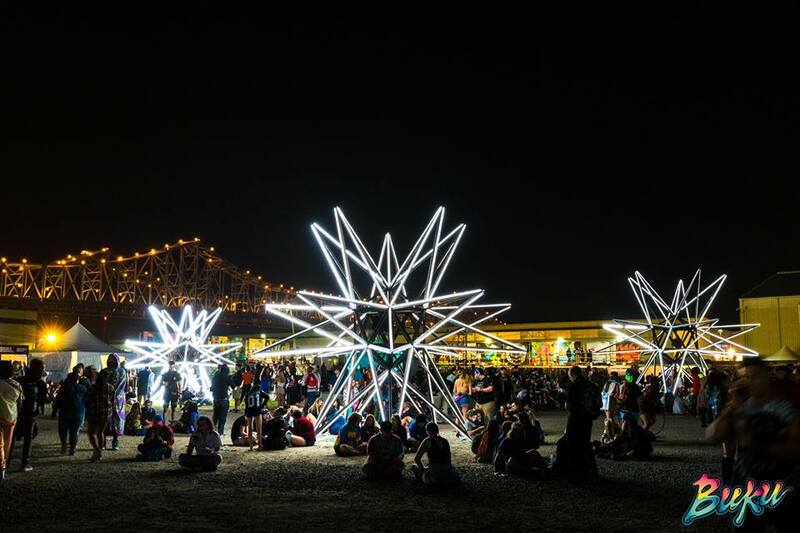 With dozens more topping off the one-of-a-kind creative and inventive vibe, New Orleans is going to be bursting with immense arrays of talent from all over the world. Showcasing the progressive subculture of the city, BUKU has become one of the most looked forward to festivals since its inception in 2012. Combining atmospheres of vibrant music and innovative art into one world of electrifying movements and every ravers ideal playground. All entries must be received by 10pm EST on March 10. Grand prize winners of The Nocturnal Times BUKU VIP giveaway will also get to experience Getter live from the very front of the stage — in the photo pit! Last year’s BUKU exceeded expectations, with some very special sets from a few of our favorite artists. Read here for 2018 highlights and get psyched for this year’s stacked lineup! Have you seen it in full yet? For more information and to purchase tickets for BUKU Music & Art Project 2019, visit thebukuproject.com.